Electric vehicle charging specialist InstaVolt has appointed Adrian Keen as CFO. Adrian Keen, new CFO of InstaVolt. A qualified chartered accountant, Keen has held a number of CFO roles, including at Anesco, one of the top 100 cleantech companies in the world, and private-equity owned international consultancy business Alpha FMC Group. 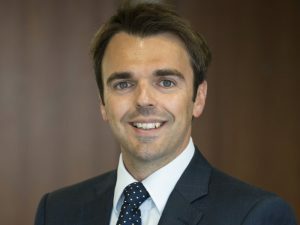 He also brings experience as financial controller at P2i Ltd, a rapidly growing company operating within the field of nano-technology, as well as in finance roles in the logistics and education sectors and as an auditor for KPMG. In his new role, Keen will work closely with the senior management team at InstaVolt to oversee all financial operations of the company.